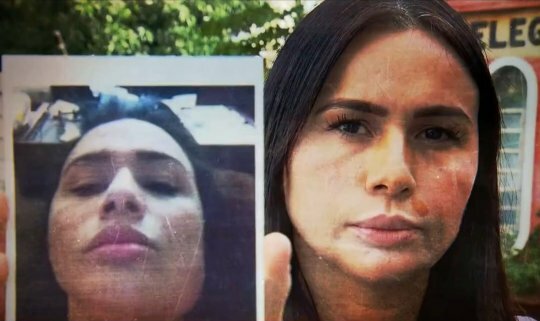 Dozens of plastic surgery patients are suing the same doctor after being left with gigantic swollen faces. 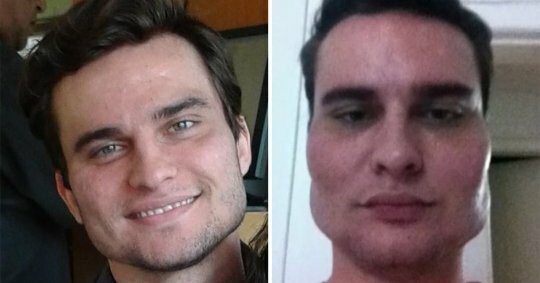 Dr Wesley Murakami is accused of permanently disfiguring some 40 people by injecting excessive and illegal amounts of filler into their skin. The patients said they paid thousands of pounds for the treatment after Dr Murakami promised it would improve their looks and clear up acne scars. 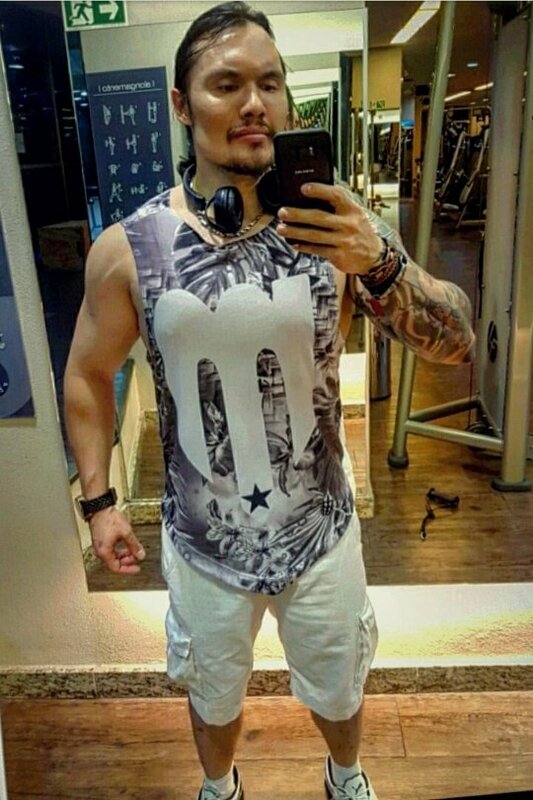 He has only recently mustered the courage to look at himself in the mirror after years of hiding from his reflection. In 2014, he decided to treat some acne scars with facial bioplasty and said he was promised amazing results. He admitted he didn’t look into the procedure thoroughly beforehand, but said: ‘At no point did he explain to me that it was irreversible. I thought it was like Botox and would gradually come out over time. 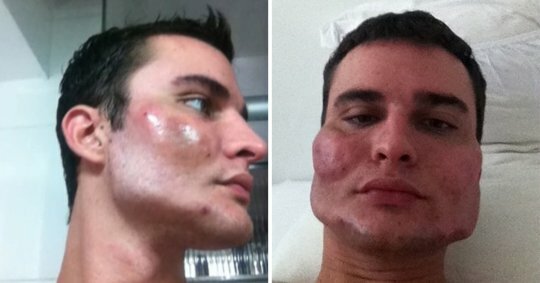 ‘When I saw the result in the mirror I was horrified. My face was gigantic and you can see in the photos. ‘He said the swelling would go down quickly, but it stayed like this for months.’ A teacher, 28, who wanted to remain anonymous, said she sought Dr Murakami’s help to reduce some blemishes. 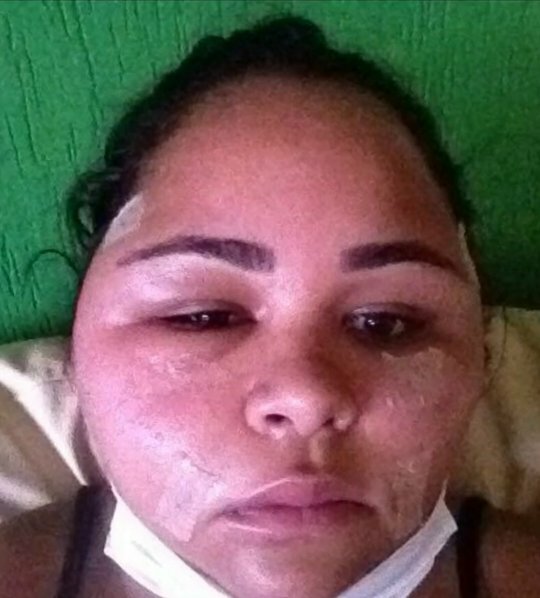 She paid 5,000 reais (£1,000) for the same-day procedure and was left with a radically changed face. 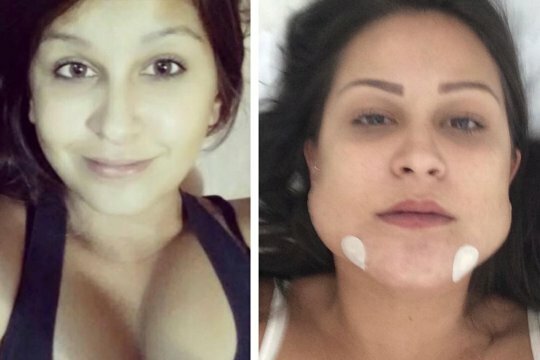 She came close to taking her own life from the trauma of losing her looks. ‘My face was distorted,’ she said. ‘I was ashamed to go to into school and the stress of teaching caused my face to swell even more. 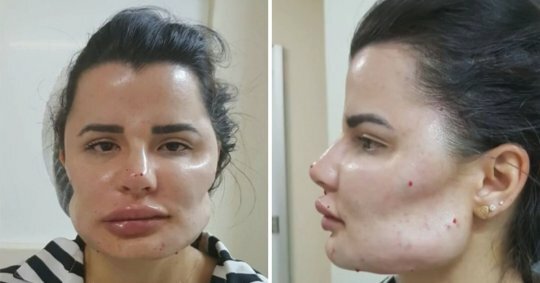 Another patient, who also didn’t want to be named, said she hated the shape of her ‘weak’ chin and believed she could make it stronger with filler. According to Brazil’s Medical Council, the use of Metacryl, a synthetic resin known in the industry as PMMA, should only be injected by doctors within prescribed limits of five millilitres. 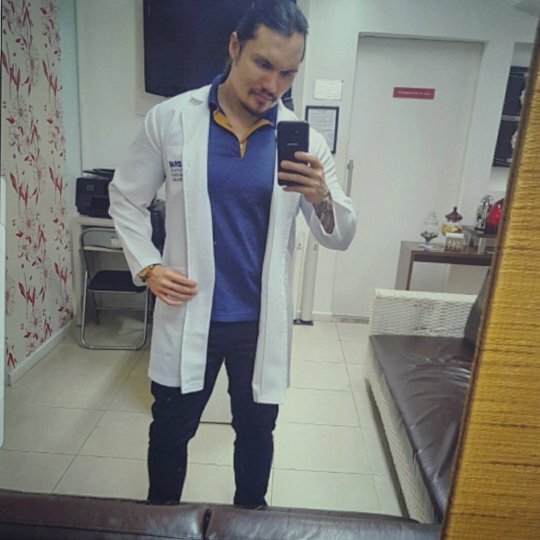 Dr Sérgio Conceição, of the Brazilian Society of Plastic Surgery (SBCP) in Goiás, revealed that Dr Murakami does not appear to have the specialist qualifications to practice and does not belong to the professional body.